As the hype machine gets kicked into overdrive for the new Black Panther movie (check out mxdwn’s review here), Kendrick Lamar and SZA have dropped a music video for “All the Stars” a song from the movie’s soundtrack. The visually stunning video was helmed by directors Dave Meyers and The Little Homies and features Lamar and SZA working their way through a series of CGI environments, weaving through an ever-shifting post-apocalyptic world. The narrative of the video ties in with the Black Panther in scope and theme but it is done in a more subtle way, a departure from many movie tie-in songs that feature the artists haphazardly inserted into scenes from the movie. Lamar curated and produced the soundtrack to Black Panther, entitled Black Panther: The Album with Top Dawg Entertainment CEO Anthony “Top Dawg” Tiffith. The record features music from the movie as well as music inspired by the film. 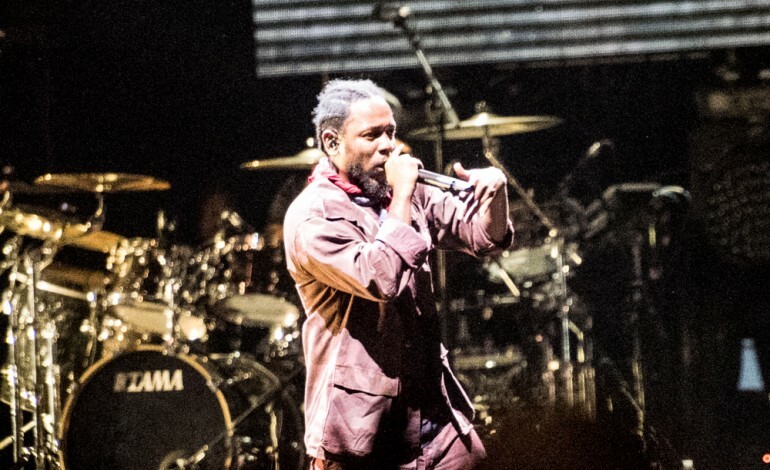 Kendrick Lamar has become one of the highest profile artists in the world, with last year’s critical and commercial hit album Damn. having a massively successful night at the recent Grammy Awards, picking up five victories. Never one to rest on his laurels, Lamar has been collaborating with the likes of The Weeknd, Future, Jay Rock and James Blake on the Black Panther soundtrack, making for one of the most star-studded movie soundtracks in recent memory. Additionally, Lamar has announced a North American tour for this summer. Entitled The Championship Tour, the package will also include SZA and Schoolboy Q and will be produced by Live Nation. You can watch the video for “All the Stars” in the player below.